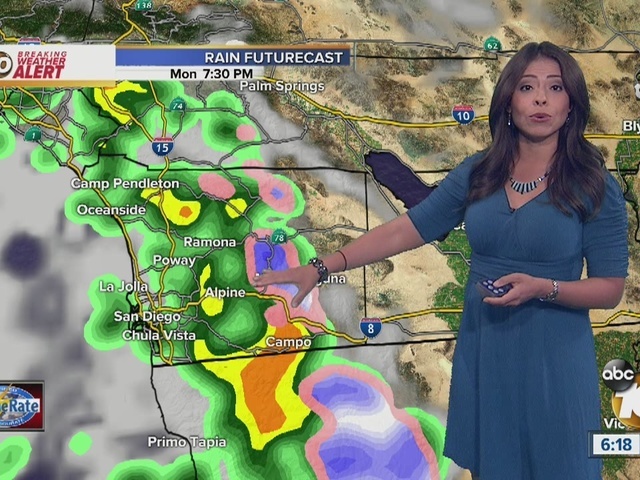 SAN DIEGO (CNS) - A blustery late-winter storm delivered rain, hail, lightning and mountain snow to the San Diego area today for a second consecutive day. The unsettled atmospheric system moved across the county from the northwest, making for a wet morning commute. Scattered precipitation and gusty winds continued through the afternoon and will dwindle during the evening hours, the National Weather Service reported. Over a 24-hour period ending at 4 p.m., according to the NWS, the bands of dark clouds dropped 1.52 inches of moisture at Lake Morena; 0.76 at Lake Henshaw; 0.65 in Rincon Springs; 0.61 in Bonsall; 0.52 in Escondido and at Sutherland Dam; 0.48 in Oceanside and Poway; 0.45 in the Granite Hills area; 0.44 at McClellan-Palomar Airport and Wohlford Dam; 0.42 in Campo; 0.4 at Rainbow Camp; 0.38 at Dulzura Summit; 0.33 at Montgomery Field; 0.32 in San Ysidro; 0.27 at Brown Field and in La Mesa; and 0.24 in Bonita. carry tire chains, extra food and ample warm clothing. An NWS winter-storm warning for the East County highlands will remain in effect until 3 a.m. Tuesday, and a coastal-flood advisory will expire nine hours later. 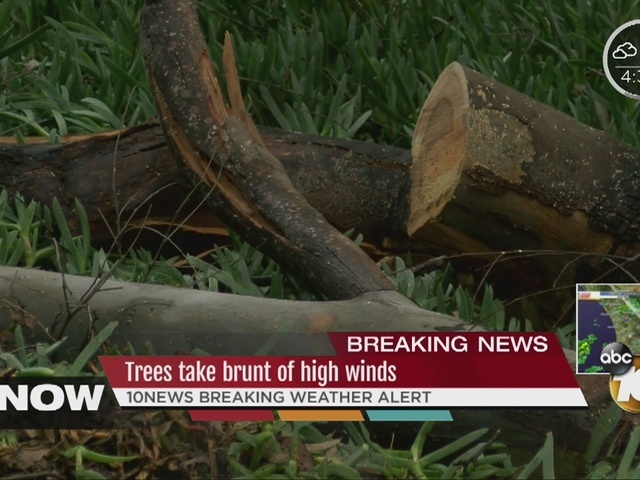 A wind advisory for the valleys, mountains and deserts will be active until 8 p.m. today. precipitation will be late Friday into early Saturday, the weather service advised.